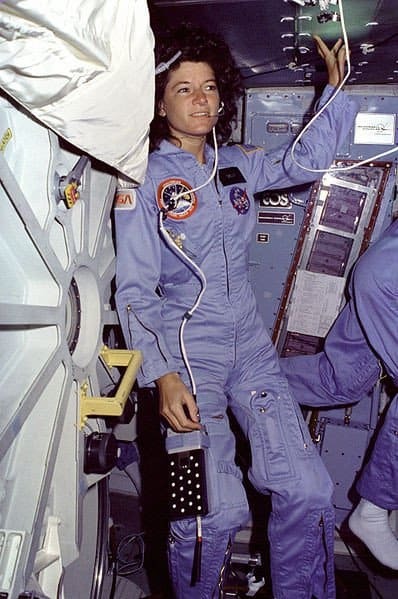 According to Science and Space Examiner, Johnny Kelly, former NASA astronaut Sally Ride, 61, died of pancreatic cancer on Monday, July 23, 2012. Sally Ride, stated by Wikipedia, was also a physicist and author. She wrote or co-wrote five books on space aimed at children, with the goal of encouraging children to study science. Ride joined NASA in 1978, and in 1983 she became the first American woman to enter space. Ride’s second space flight was in 1984, also on board the Challenger. She spent a total of more than 343 hours in space. Ride, who had completed eight months of training for her third flight when the Space Shuttle Challenger accident occurred (January 28, 1986), was named to the presidential commission investigating the accident and headed its subcommittee on operations. Following the investigation, Ride was assigned to NASA headquarters in Washington, DC, where she led NASA’s first strategic planning effort, authored a report entitled “Leadership and America’s Future in Space,” and founded NASA’s Office of Exploration. In 1987 she left NASA to work at Stanford University’s Center for International Security and Arms Control. Ride received numerous awards, including the National Space Society’s von Braun Award, the Lindbergh Eagle, and the NCAA’s Theodore Roosevelt Award. She was inducted into the National Women’s Hall of Fame and the Astronaut Hall of Fame and was awarded the NASA Space Flight Medal twice. On December 6, 2006, California Governor Arnold Schwarzenegger and First Lady Maria Shriver inducted Ride into the California Hall of Fame, located at the California Museum for History, Women, and the Arts. Condolences are expressed to Sally Ride’s family and friends.